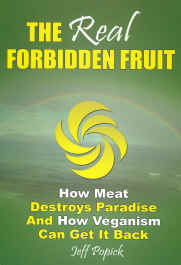 If you haven’t read the book THE REAL FORBIDDEN FRUIT – How Meat Destroys Paradise And How Veganism Can Get It Back – by Jeff Popick, buy or borrow a copy right away and read it. This book, with a foreword by Howard Lyman, is so good you won’t want to put it down! Whether you are interested in health, animals, or the environment, Jeff Popick gets right to the point and doesn’t mince words – he tells it the way it is. I especially appreciate the fact that he cites the passage in Genesis, the first Book of the Bible, in which God said “Behold, I have given you every plant yielding seed that is on the surface of all the earth, and every tree which has fruit yielding seed; it shall be food for you.” (Genesis 1:29) So, it’s obvious that the Garden of Eden (Paradise) was totally vegan. In The Real Forbidden Fruit: How Meat Destroys Paradise And How Veganism Can Get It Back, Jeff Popick blows wide open the myths and misconceptions surrounding meat and its effects on our planet, our bodies, our society and our spirituality … and it’s not a pretty picture. Using thoughtful and thorough analysis, The Real Forbidden Fruit demonstrates how the animal industry, and our complicity with it, has created the dysfunctional and self-destructive world we live in today. Disease, famine, environmental disaster and even war are demonstrated to be direct results of our callous treatment of our fellow inhabitants of this planet. Fortunately, there is a solution that can lead us all back to the Paradise this world once was, but it requires that we finally recognize what was The Real Forbidden Fruit. “Meatism” blocks our connection to God; veganism facilitates it. 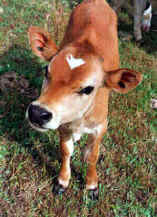 “Meatism” fosters suffering across the planet; veganism eliminates it. “Meatism” is destroying the environment; veganism is the ONLY way to save it. “Meatism” actually creates famine; veganism produces abundance. Veganism isn’t about eating lettuce and tofu … vegan food is AMAZING! Veganism doesn’t cure disease … it eradicates it. 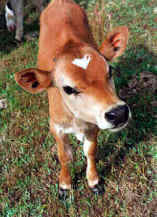 Veganism is the ONLY proper way to love animals … And people. Veganism is mandated by God … on PAGE ONE of the Bible. Meat is The Real Forbidden Fruit; veganism is the key to Paradise. Jeff Popick, also known as “The Vegan Sage,” is a keen visionary and one of the leading experts on the diverse effects our diet has on our lives and our world. Jeff has worn many hats over the years, from lively radio host to millionaire businessman to passionate author. His latest book, The Real Forbidden Fruit, offers a compelling look at how Jeff believes the world was created to be a paradise and the single cause of our demise has been meat. Jeff’s assertion is the forbidden fruit was actually meat, and he offers a logical, rational and systematic road map showing the reader how he got there. Jeff’s passion is helping people embrace the principles of veganism and, in so doing, create the paradise the world was originally intended to be. To that end, Jeff is heavily involved in marketing and promoting the vegan message and is also developing healthy and humane vegan products. Find out more at www.JeffPopick.com.